EMERYVILLE, Calif., September 28, 2018 – No one wants to default on their student loans, but there are circumstances where it may be unavoidable. Cost of living, low pay and surprise expenses can add up to being unable to make payments. In some states, defaulting can actually cause some to lose their job; 15 states in the U.S. allow people's occupational licenses to be suspended or revoked for failure to make their loan payments. One such case was a nurse in Nashville who suddenly began having epileptic seizures. 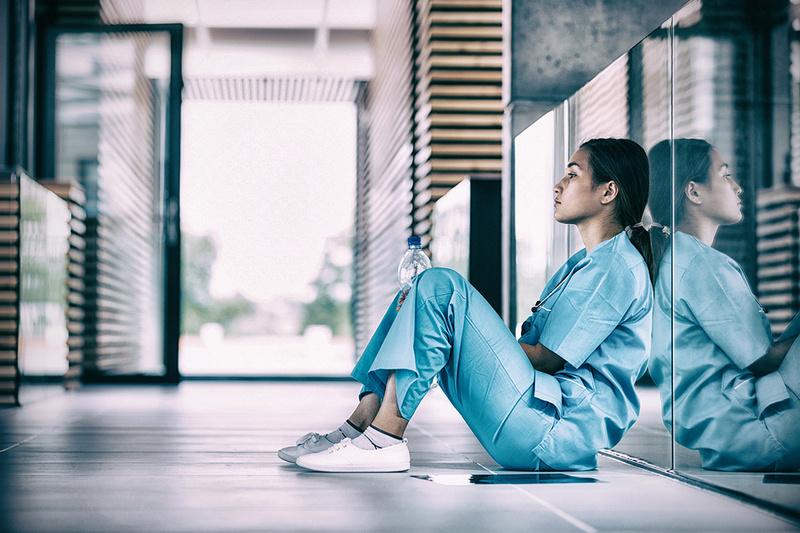 She was unable to work for a period of time and ended up losing her nursing license after defaulting on her loans; once her seizures were under control, she couldn’t afford the $1,500 it cost to get her license back. American Financial Benefits Center (AFBC), a document preparation company, feels that income-driven repayment plans (IDRs) can be a lifeline for those who may be teetering on the brink of default. These days, one-fourth of the workforce needs some sort of license to work in their field and many occupations that require licensing are ones that required a higher education to receive the license. Many of these professionals had to take out a substantial amount of debt to go to school. One of the fields with the most revoked licenses in a number of states were cosmetologists, whose coursework to receive state licensing averagely costs $15,000 and up. The median wage of a cosmetologist who's just starting out is about $25,000 a year; it's understandable they may have trouble making their monthly payments. Thankfully there's increasing bipartisan support to reform this policy. Senators Elizabeth Warren and Marco Rubio introduced the Protecting JOBs Act, which would ban states from suspending or revoking occupational licenses of student loan borrowers who default. A policy like this makes it difficult for defaulted borrowers to get out of debt. Taking away their occupational license means they won't be able to work in their field and they'll probably have to take on lower-paying jobs which may not pay enough to get them out of default. Nearly one million student loan borrowers default each year; should this act pass, it would make a hugely positive impact on borrowers who live in states that revoke occupational licenses. In the meantime, borrowers who are having a hard time making their payments may benefit from looking into a repayment plan like an IDR. An IDR can adjust a borrower's monthly payments to a more manageable amount based on their discretionary monthly income and family size. Having lower payments, particularly in times of unexpected financial hardship, can help borrowers stay out of default and on the path of paying off their debt.